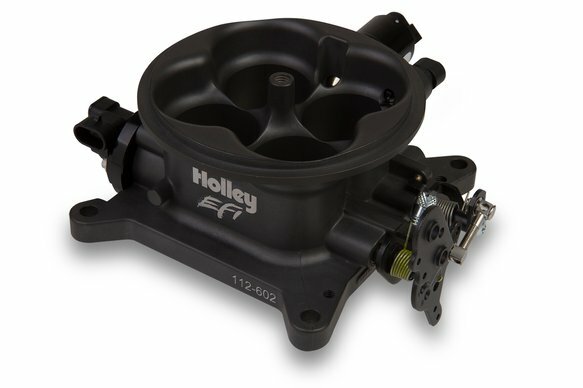 The Holley EFI die cast aluminum four barrel throttle body is designed to fit on any square bore (4150 style) intake manifold. 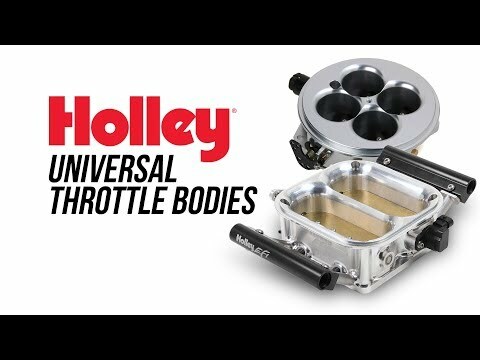 This new MPFI Race Throttle Body shares the same air entry area design that powers every NASCAR Sprint Cup Series™ car! The unit includes the Throttle Position Sensor (TPS), Intake Air Temperature Sensor (IAT), and Idle Air Control (IAC) motor. It has four 1-3/4" throttle plates. It features non progressive throttle linkage, for quickest throttle response, but can be converted to progressive operation by removing and adjusting the installed linkage. It also features one 3/8" and one 3/16" full manifold vacuum ports!